Thinking Outside of the Box and Making a Difference - Cheers to Volunteers! Volunteering for the EarthWays Center is more than just showing up to take names or dig through trash. It’s how our volunteers help support the Garden’s mission and dedication to sustainability. People choose to volunteer with EarthWays for many different reasons – a personal passion for all things green, recycling enthusiasm, looking for a way to give back to the community, or maybe just something fun to do like making Solar Oven S'mores! Whatever the reason we couldn't’t do it without the help of each individual who steps up and signs up. If you are looking for a way to learn more about sustainability, to take action, to support the Garden’s green initiatives, or just to have fun join us this fall and winter at one of the many exciting sustainable volunteer opportunities we have available. Note: If you are new to volunteering at the Garden please complete an application to be considered for a volunteer assignment and we will contact you. Where is away? What is compost? What happens at a MRF? Ever ask yourself these questions? Do you know the answers? Interested in learning more about waste and how we can help the environment by practicing our 3R's at all times - even during big events and festivals? 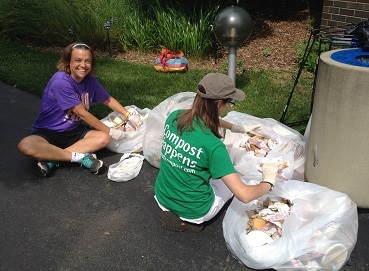 Join staff from the EarthWays Center of the Missouri Botanical Garden to learn how to be the best zero-waste ambassador you can be! Build a basic understanding of waste - including an overview of landfills, recycling centers, and composting operations, gain experience talking to others about waste, and so much more. 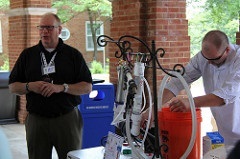 This training will prepare you to better understand the logistics, requirements and expectations of working a waste station, engage visitors and festival/event attendees in meaningful conversations about waste, and learn how to use these interactions to empower others to take an interest in learning about where their waste goes. Put your Training into Action at a Garden Signature Event This Fall! The fall is a busy time for the Garden with two of our biggest signature events and we need your help. 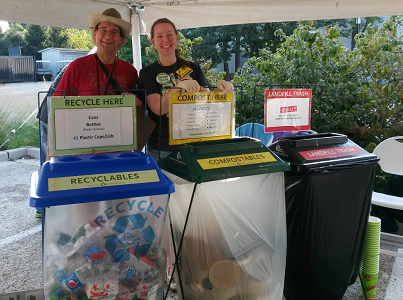 We need the help of our volunteers, especially those who have trained to be Zero-Waste Ambassadors to sign-up and volunteer as a Recycle-Compost-Landfill Assistant for the Japanese Festival and Best of Missouri Market. It’s a fantastic opportunity to put what you’ve learned into action, check out the Festivals, and support the Garden. To register for one of these events keep your eye out for the volunteer all-call, sign-up through CERVIS online, or contact the Volunteer Program Office at volunteer@mobot.org. Learn to live green by volunteering as a Green Classroom Assistant at one of this Fall/Winter’s public programs. These offerings are available weekends and evenings from September 2017 through February 2018. Classes and tours offered range in several green living topics as well as horticultural interests. Green Classroom Assistants are responsible for helping instructors set-up and pack up class materials, facilitate activities as requested by the instructor, and check-in registered participants. Registration for the Fall/Winter Green Classroom Assistants will go live online August 1. Contact Simon at 314-577-0281 or simon.warren@mobot.org if you have any questions.